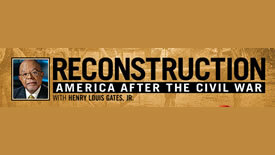 PBS will broadcast Henry Louis Gates’ documentary “Reconstruction: America after the Civil War” on Tuesday, April 9 and 16, and Karen Cox of the History Department is interviewed in the film. Her segment appears in the fourth hour of the series, scheduled to air at 10 p.m., April 16. A town hall meeting is scheduled for 2:30 to 4:30 p.m., Wednesday, April 17, in the Popp Martin Student Union Multipurpose Room, to learn about the recommended future “One IT” organization could look like. The Internal Audit Department will conduct the training session “Fighting Fraud the 49er Way” on Thursday, April 11. Register online. Higher education institutions are just as vulnerable to fraud as other organizations. If the pressure and opportunity exists, an employee may engage in theft. The Cone University Center’s exterior stairway (facing the metered parking lot) next to the Reese Building will be closed Monday, April 1, through Friday, April 12, for restoration work. Expect noise from sandblasting and pressure washing; barricades and directional signage will be erected. The ADA sidewalk will remain open. Want to start a University bowling league? Faculty and staff members who are interested in participating on a UNC Charlotte Bowling League should attend an initial meeting scheduled for noon., Monday, April 8, in the Cone University Center, Room 111. The annual UNC Charlotte Memorial Service will be at 7 p.m., Thursday, April 11, at the Harris Alumni Center at Johnson Glen. 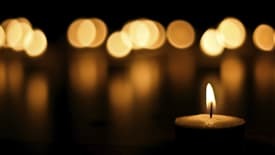 This service is held in remembrance of students, faculty and staff who have died within the last year (April 2018 to April 2019). Inbound and outbound lanes of Institute Circle will be closed Friday, March 29, for construction related to the entrance off N. Tryon Street. Expect heavy equipment and construction personnel in the area; detour signage will direct traffic to use the J.W. Clay Boulevard entrance. Remember to exercise caution when approaching construction zones. Employee of the Year and service award recipients for 2018 will be honored at 2 p.m., Wednesday, March 27, during a dessert reception in the Popp Martin Student Union Multipurpose Room. All employees are invited and encouraged to attend. Between 5:30 and 7 a.m., Wednesday, March 20, the northbound lane of Mary Alexander Road will be closed temporarily to allow construction work related to the Sycamore Hall Renovation project. A concrete truck will block the northbound lane and sidewalk in front of Sycamore Hall. Flaggers will direct traffic. Receive announcements about upcoming internal or external workshops, conferences, seminars and guest speakers by joining ProfessionalDevelopment-group@uncc.edu. Subscribe by following these steps. The UNC Charlotte Staff Council was established to create and provide a more harmonious working environment for the staff of the University. Learn more about Staff Council executive committee members and representatives. 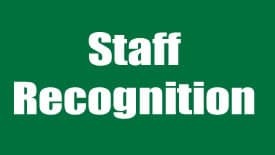 Nominate a colleague for the Staff Council’s Golden Nugget Award. View past award recipients. The Faculty Council is a policy making and consultative body, responsible for the quality of instruction and scholarship at the University. Click here to learn more about faculty council members, view a meeting schedule, read agendas and minutes and the guidelines for submitting agenda items.